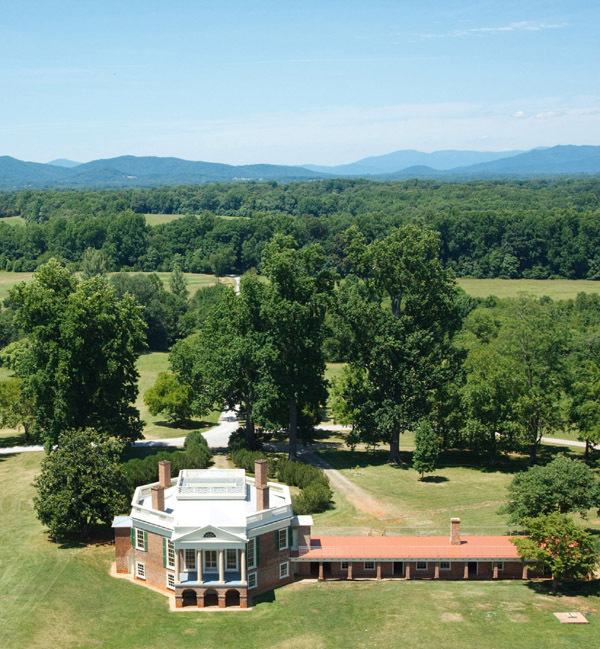 Thomas Jefferson’s affinity for landscape design can be experienced today at Poplar Forest in Bedford County, Va. 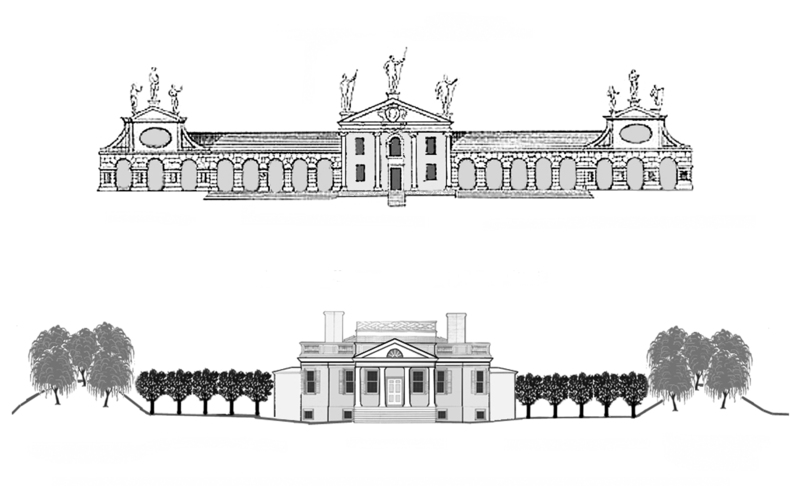 There, the observant pilgrim can see and experience how he molded land and plantings to fit his Palladian vision in the early 19th century. 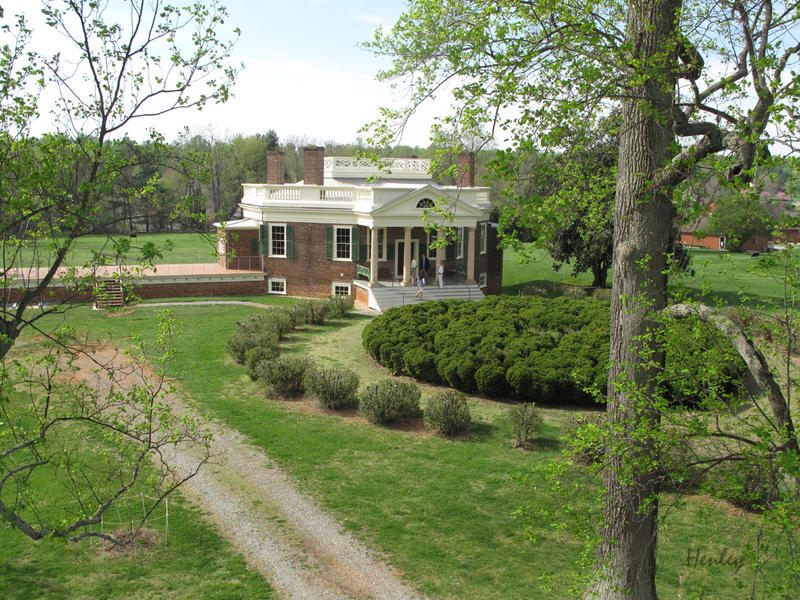 The home takes its name from the view out its north portico, where Jefferson allowed a stand of thirteen poplars to flourish. 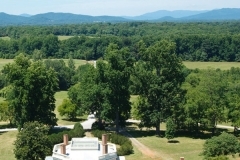 Five of them remain today. 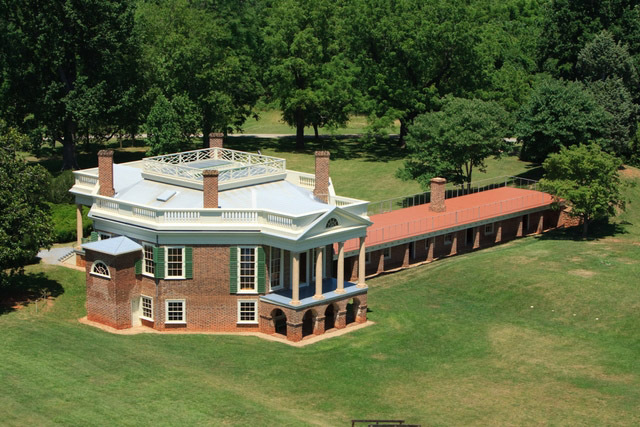 The view from the south portico to the rear reveals a sunken lawn, hand-dug by slaves paid to work on their days off. 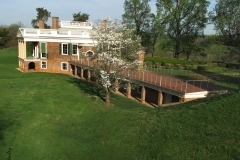 The perimeter of the lawn was planted with fast-growing shrubs like roses, lilacs, rose of Sharon, guilder roses, and calycanthus. The sunken lawn’s purpose, though, was far more than aesthetic. 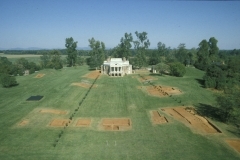 Jefferson had specific architectural plans for the excavated dirt. 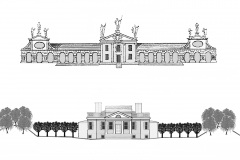 It was meant to form a pair of mounds to the east and west of the main house, mimicking formal pavilions and fulfilling a Palladian scheme for his villa. 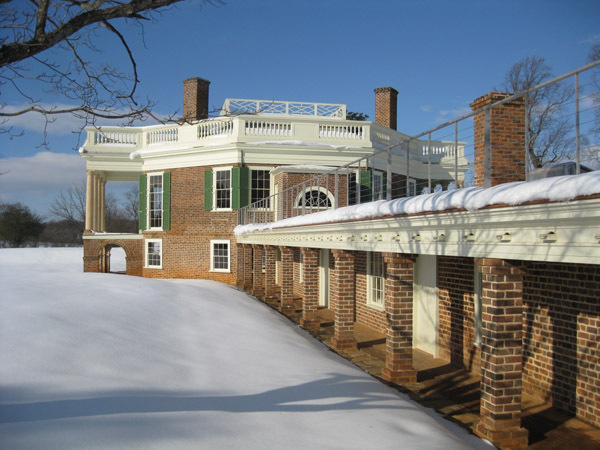 Each is twelve feet high, and between seventy and ninety feet in diameter. 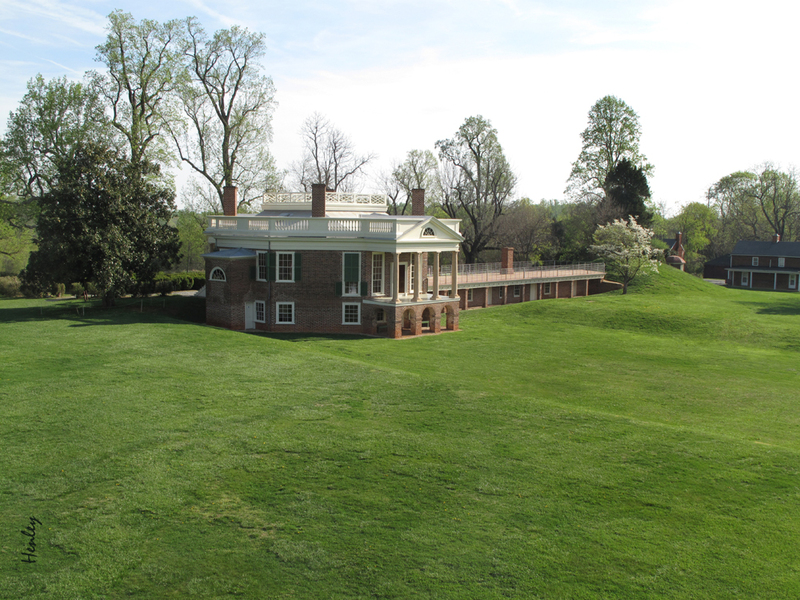 Originally planted with aspens and willows in 1811, the mounds were replanted with shrubs in 1816 to match those of the sunken lawn. 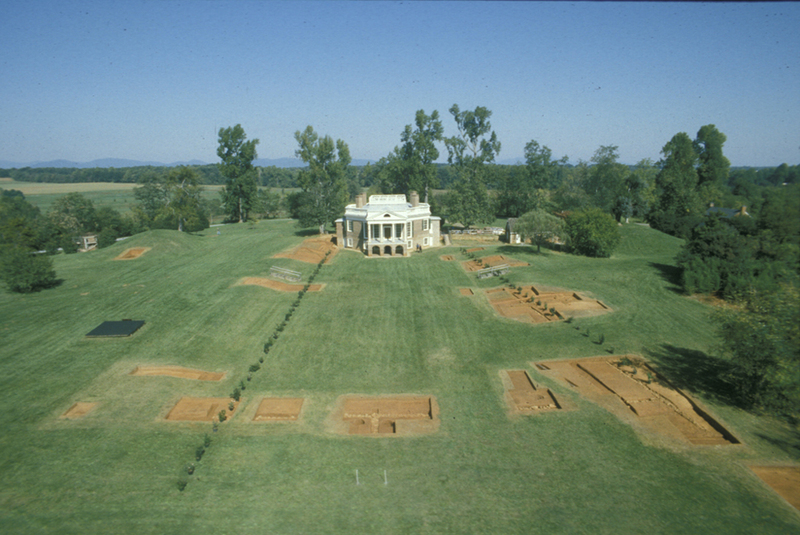 In his four years at Poplar Forest, one of the archeologist’s most interesting moments occurred as he excavated the villa’s original plant nursery. 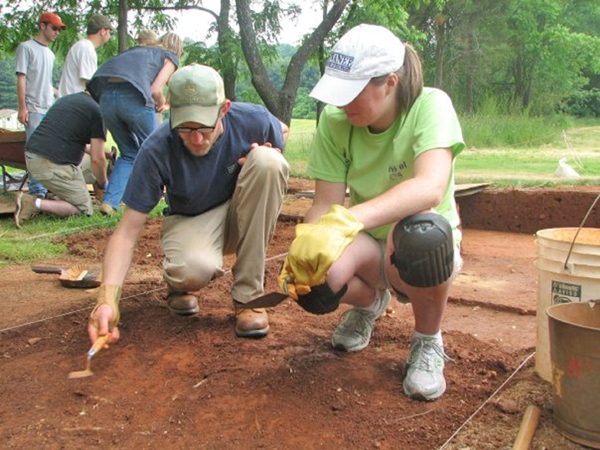 There, the heavy clay soil had been broken up with discarded ceramic fragments from the main house. 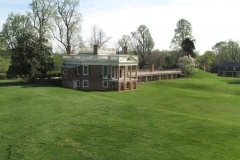 Among these fragments were pieces of Jefferson’s dinnerware. One depicts a domed, neo-Palladian image of Radcliffe Library at Oxford University, similar to the domed library Jefferson would design for U.Va. 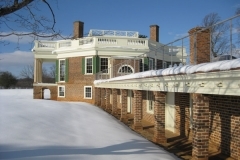 It is framed, as all in the series are, by an octagon.